Heroin addiction has become prevalent in not only Baltimore, but in the surrounding areas and United States as a whole. So, heroin is back. Not that it ever left. But after it’s popular rise during the time of Vietnam in the 1970’s and it’s reappearance during the “heroin chic” 90’s after it was so unceremoniously pushed to the side during the cocaine-obsessed 80’s, heroin use and abuse had recently taken a backseat in the ever popular “24 Hour Breaking News” world in favor of more timely and relevant drugs like crack, crystal meth and prescription pain killers like OxyContin. After some late 90’s and early 2000’s scares of middle and upper class America, it seemed as if over the last decade or so heroin had gone back the inner cities of the United States, tormenting the more indigent populations, the poor and the homeless. Now, however, it’s safe to say that America’s true favorite drug is back with a vengeance and no self-respecting suburbanite is safe. Since the untimely death of actor Philip Seymour Hoffman, found dead in his Manhattan apartment with 50 bags of heroin (along with Suboxone and other illicit drugs), the outcry from the country has been uncontainable. Everyone has an opinion. They are like assholes, after all. And apparently it seems everyone has become an expert on addiction. He made a choice and he died. Addiction is a choice, not a disease. He’s just another dead dope fiend. No, he’s sick. Addiction IS a disease. If he was on medical assisted drug maintenance program like Suboxone this wouldn’t have happened (FYI- he had Suboxone in his possession when he died. Suboxone, in case you are misinformed, does not by itself make relapse impossible.) Then a bunch of people (many in the public eye) that identify themselves as addicts and alcoholics wrote articles and blogs from their own points of view, trying to give life by the written word to an illness like addiction that is often hard to explain and even harder to understand. In response, people that completely disagree with addiction being a disease wrote blogs and articles, many of them written angrily. Then parents of overdose victims responded. And on and on we go. A major factor in this whole Merry-Go-Round is the misunderstanding that many people have about how someone that seemingly had everything in life like Philip Seymour Hoffman (the fame, the money, the material possessions, the family, the adoring fans) would “throw his life away” on drugs. Even more confusing and concerning for some people, was that the drug that he overdosed on was heroin. It wasn’t the “high class” cocaine overdose. Or an overdose on some weird synthetic drug made in a basement. And it wasn’t the “white persons” opiate of choice prescription pain killers. No, it wasn’t any of those “understandable” overdoses. It was heroin. Why? Because heroin is the ultimate drug. It is cheap. It is accessible. And it is effective. People like drugs. People that typically like drugs really like heroin. So that being said, it’s no wonder that no matter what people try to do to stop it, no matter how many people stick their heads in the sand and say “it doesn’t happen here”, no matter how many people try to classify it as a “dirty, city drug”, the truth is this: Heroin is not contained within city limits. It does not target the poor or the indigent or the lower class. Heroin doesn’t target anyone, in fact. People that like drugs target heroin. And you know who likes drugs? Kids in the suburbs. Kids in the suburbs with expendable income and a lot of time on their hands. Middle and upper class kids. Kids are doing harder drugs earlier and earlier these days. And therefore moving to “street drugs” or “harder drugs” quicker and quicker. That almost always eventually leads to heroin. Welcome, middle to upper class Suburban America. Your children are hooked on heroin. Are you a parent living in Towson sending your child to a private school in Baltimore? Welcome. Your child knows someone in his class addicted to heroin. Are you a middle class Pikesville mom proud of your daughter and all she’s doing at Syracuse or Johns Hopkins or University of Maryland? Welcome. Your daughter has a friend abusing heroin. Owings Mills business owner dad? You know someone using heroin. Lutherville-Timonium young professional woman? You know someone on heroin. Ellicott City resident? Your kids may be making the short drive to Edmondson to cop heroin on their lunch break. Westminster mom who thinks heroin is too far away to be worried about? Doubtful. Park Heights and Belvedere isn’t that far of a drive. Bel Air, Maryland? Heroin issues. Columbia, Maryland? Heroin problems. Bethesda, Maryland? Heroin. And it’s not even the local suburbs of Baltimore County, Harford County, Howard County or Carroll County in Maryland that are now affected by heroin use and abuse. Overdoses are happening all throughout the country. In New York, the well-to-do areas in Long Island are dealing with it (http://www.cnn.com/2014/02/07/us/long-island-heroin-youths/). So are the rural areas in Pennsylvania, like Lancaster (http://www.abc27.com/story/24703211/11-charged-with-dealing-heroin-in-lancaster). Clearly the rich and famous of Manhattan and LA have been using and dying from heroin for years, but what about rural areas in Wisconsin (http://mobile.nytimes.com/2014/02/11/us/heroins-small-town-toll-and-a-mothers-pain.html?hpw&rref=health&_r=1&referrer) and urban centers like Boston (http://bostonherald.com/news_opinion/local_coverage/2014/02/evans_reveals_friend_s_son_died_of_heroin_od)? 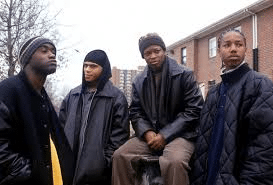 Welcome, suburban mothers and fathers and sisters and brothers: Yes, it’s your friends and family that are taking the short ride to cop downtown in places you may have only seen on an episode of The Wire. And it is that heroin that is now being sold outside the Baltimore city limits in (gasp!) your own towns and neighborhoods. Heroin doesn’t discriminate and drug addiction doesn’t discriminate. And people that choose not to accept the obvious are putting themselves in the position to receive a huge surprise when someone they know is affected by a heroin overdose. Thinking you are too rich, too educated, too privileged, too smart, too far away (too “white”?) to be affected by the consequences of heroin use and abuse is simply ignorant. It’s why your local news is covering Fentanyl-laced heroin overdoses in YOUR town. It’s why people in positions of influence are finally coming out to discuss this problem. It’s why people that we never believe could be affected are dying of this problem everyday. Understanding and education are important. So is transparency. Pretending this problem doesn’t exist does not help prevent nor treat the problem. Heroin is affecting us. It is affecting our cities AND our suburbs. It is affecting ALL of our residents. Admission of the problem is key and so is then finding the best resources to deal with it, whether that means prevention education or treatment. Maryland Addiction Recovery Center offers the areas most comprehensive drug treatment programs in Maryland, including heroin detox and PHP and IOP treatment services. If you or someone you know is addicted to heroin and needs help, please call us at 410-773-0500 or email info@marylandaddictionrecovery.com. Find out more information on all of our services at the web site www.marylandaddictionrecovery.com.